Nothing says spring like rosy pinks and beautiful, fresh flowers. By now, spring has sprung and we are enjoying the sunshine and warmer weather. Between the birds chirping and the longer days, there is so much to love about spring! But one sure sign that is a true favorite is watching the snow melt to reveal the tiniest greens and buds, working their way up from the ground. Fresh flowers are the epitome of springtime cheer and gives us hope for what the season will bring us. In honor of the longer, brighter days ahead, we have compiled a few of our favorite popular spring flowers that help us celebrate spring. 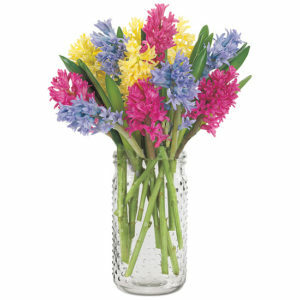 Fragrant and fun, hyacinths add a splash of spring color. Hyacinths are a perky sign of spring with upright, fragrant blossoms in a variety of colors that evoke springtime. Hyacinth flowers, with their bell-shaped blooms atop bright green stalks are the ultimate sign of spring, reminiscent of the way plants are beginning to bud in the great outdoors. Named for a Greek myth and symbolizing sincerity and playfulness, hyacinth flower bouquets are often gifted to welcome spring or to symbolize a fresh start. Peonies have been imbued with meaning and depth for centuries, from the Greek origins of the name (which honors a god of medicine) to being used to flavor food in Imperial China. They now symbolize nobility, prosperity, and compassion which makes sending peony flowers for Mother’s Day a fitting choice. 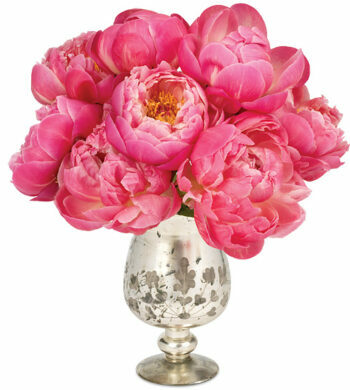 A hot pink peony bouquet in mercury glass gives off a vintage appeal while the bright color is lively and feminine. 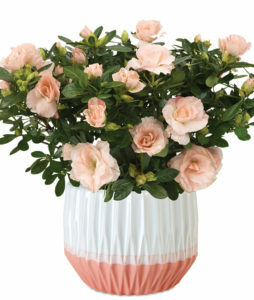 Rozaleas combine the beauty of two popular spring flowers in the prettiest blush pink. 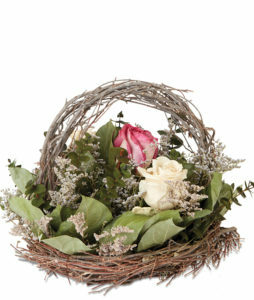 Our Very Vines Basket is a spring floral centerpiece that is elegant and seasonal. Another feminine flower for spring is the azalea. Popular as a landscaping flower in the Southern United States, azaleas are colorful with delicate blossoms that signify femininity and abundance. When planted outdoors, azaleas blossom as a bushy, flowering shrub, adding plenty of color with the most popular being reds, purples, and pinks. 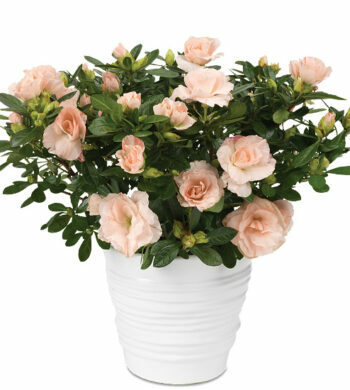 A fun variation on the traditional would be our Rozalea Plant, which comes in the most perfect blush pink that is at once dainty and delicate while being lush with green leaves in a white ceramic pot. Rozaleas are relatively easy to care for, so this is also an appropriate flowering plant to send to somebody who loves flowers but is also busy celebrating springtime outside. Pinks are perfect for spring as are roses, of any kind. A favorite is spray roses, which tend to have a smaller, tighter bud with a thick stem. Prized for their smaller size, spray roses are also lightly fragrant and a lovely choice for a spring floral arrangement. 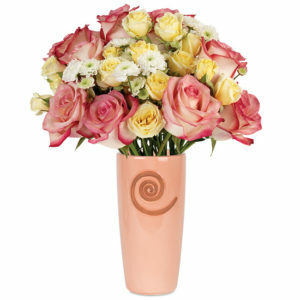 Another lovely option for roses are in a spring floral centerpiece, like the Very Vine Basket which features pretty pink and white roses nestled in a vine basket with eucalyptus and lemon leaves for charming and seasonally appropriate table décor. These are only a handful of our springtime flower favorites and we look forward to an abundance of varieties, colors, and blooms as the season moves forward. Find a few more of our favorites spring flowers arrangements and how we are using them.